What makes us interested in something? Standing by the window, we might turn our heads to look at a flash of a cardinal’s red feathers against white snow at our winter feeder. Human interest originates from exposure to an environment, often referred to as a person-object relation (Krapp et al., 1992). These nascent interests are situational, and can be suddenly evoked as a response to a stimulus; this is referred to as a person-stimulus reaction (Krapp et al., 1992, Hidi, 2006). Short-term situational interest in a red bird against a snowy backdrop can be fleeting, with a marginal affect on our learning and cognition about birds. If interest is sustained, however, it becomes a more stable individual interest, or personal interest, which can increase positive emotions and knowledge within a specific domain (Krapp et al., 1992). 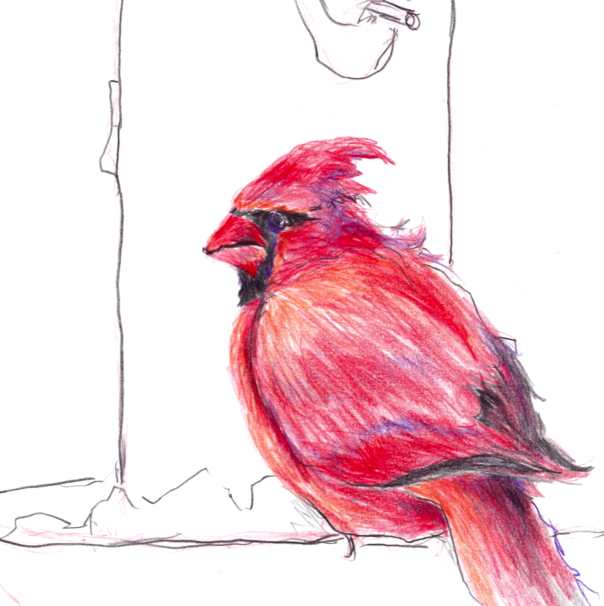 We might want to make a painting of our red bird of winter, or Google cardinal diets, in order to get the right seeds for our feeder. We now have an individual interest in cardinals which remains with us, even as we step away from the window-view of our beautiful bird. Individual interest as compared to situational interest is “portable”; it is less dependent upon external variables, and can manifest in self-directed goal setting, action, and engagement. Our goal: to paint the bird. Our actions and engagement: research diet, buy seed, watch the bird for hours as we paint his royal portrait. The two questions for educators are these: First, how can we create a flash of red feather in our science and math classes? And then, how can we sustain this fleeting situational interest in science and math; that is, how can we foster individual interest that will go home with our students when they leave the classroom? Dewey (1913) had the answer in his writings about direct and indirect interest. Please watch for this topic in the next posts, and as always, I welcome your comments :).